The recital by Nahuel Di Pierro and Alphonse Cemin for Rosenblatt Recitals at Wigmore Hall on 5 June 2017 was the end of an era for the celebrity (and future-celebrity) recitals devised and promoted since 2000 by opera-mad solicitor Ian Rosenblatt (interviewed by Robert here). There are two memorable things for me: one was my only ever lottery win was tickets to one of the early recitals. The other was in 2001 when Plácido Domingo rocked up and sat in the row in front of me at St John’s Smith Square; he was coming to listen to an up-and-coming Peruvian tenor called Juan Diego Flórez. I thought I’d better pay attention. Flórez is one of many talents Rosenblatt has introduced to us. The series has evolved, but they have been predominantly solo recitals of operatic and oratorio arias and songs, with piano and occasionally small orchestra. He moved from St John’s to the Wigmore, but the Wig has increasingly gone down the route of curating its own seasons of late and it has felt to me the Rosenblatts don’t quite fit there these days. The last recital was the Argentinian bass Nahuel Di Pierro. He has as many bass-baritone roles on his CV as bass roles and, to my ear, at modern pitch, he did seem more at ease in the middle and top of the range than at the bottom. 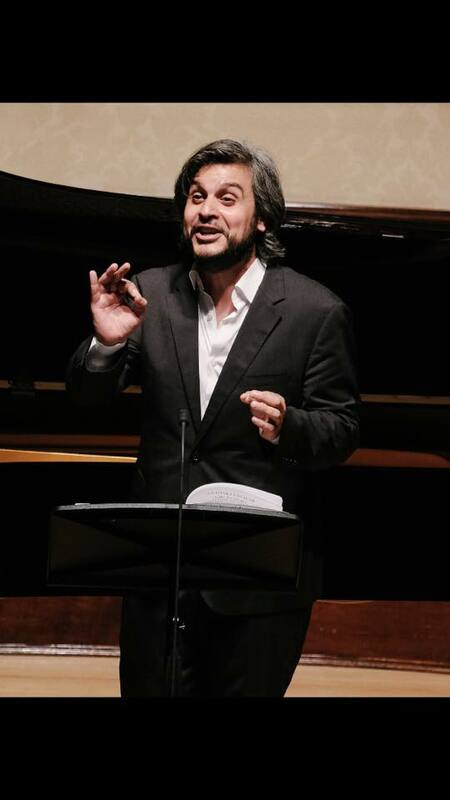 The programme started with two punchy, bloodthirsty arias from Vivaldi’s Tito Manlio. It then took a moment for us to adjust our ears to the sound world of Rameau in ‘Puisque Pluton est inflexible’ from Hippolyte et Aricie but I am always glad to hear this repertoire in London. The piano solo from Rameau’s Les Cyclopes was for some reason separated by some Handel and Mozart. Cemin’s piano playing, throughout the evening, did not feel like it was supporting the singer, rather that Cemin was waiting to show us he was a virtuoso really. We are used to pianists who are more responsive, more subtle and, in the operatic arias, more orchestral. I had the sense Cemin didn’t know what instruments he was supposed to be imitating: neither the woodwind of the Catalogue aria nor the mandolin of ‘Deh, vieni alla finestra’, which was the final encore. For the Donizetti aria ‘Era pura, come in cielo’ singer and pianist were pulling in opposite directions. After the interval we moved forward in time to Debussy, but the French I enjoyed in the first half became very woolly. The diction was not forward enough and I had to look at the text (which also meant I discovered a new word: ‘boulingrins’ – bowling greens!) Ravel’s Don Quichotte songs were more successful: more characterful, boozy, laddish, and the final number, Mephistopheles’ nasty drinking song from Berlioz’ La damnation de Faust, was a great crowd-pleaser, as were the Argentinian songs by Ginastera he gave as encores. If we were being given the chance to decide what we would go and hear him singing, my money would be on the bawdy stuff, but he needs a director to make him think about making the song or aria his own, rather than providing rather generic renditions of well-known repertoire. 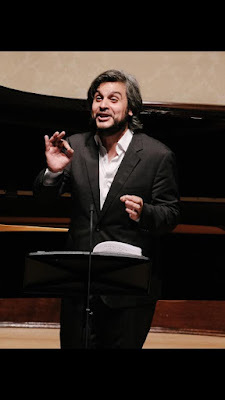 A solo recital like this is hard: to stand still, wearing your own clothes, with no props, is more scary than being on the operatic stage, and the onus is on the singers to choose carefully what they sing and how they characterise it. The penultimate Rosenblatt artist, Lise Davidsen (review here) got this right. Di Pierro didn’t seem to be making enough of an effort. Especially (and I’m sorry to bleat about wardrobe choices again) with the unironed shirt that had been through the washing machine too many times. What happens now with Rosenblatt? They will be making the archive available online and so their website is the place to watch.